Shanghai Metal Forming Machine Co., Ltd. mainly focus metal forming machines, specializes in designing ,producing metal sheet forming machines, duct forming machine, such as spiral tube forming machine, flange forming machine, gorelocker bend machine, hydraulic profile bender, plasma cutting machine, riveting machine and metal sheet auto slitter lines. Our products suit for metal tube forming, metal sheet seam lock and metal sheets rivet, etc. 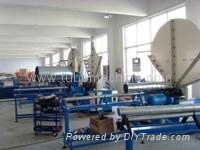 We are the main suppliers of Duct forming machines in China，and also manufacture roof roll forming machines. Our main products: spiral tube forming machine, flexible duct forming machine, auto roof forming machine, riveting machine, Pittsburgh seam lock machine. Hydraulic section steel bending machine, metal sheet flange forming machine, TDF hydraulic folder, auto cutting to length line, pipe bending machine , FN seam welder,notching and shearing machine. Our company has the perfect quality management system and has already passed CE certificate and ISO901:2000 certificate of the quality management system. All the products have been considered various safe factors during designing. Every year, we design and invent new machines. New technology leads us to the big machine market and also has great contribution to HVAC field. All machines will be adjusted to meet user's need in our plant. We may train the operators from user's factory in our plant. We may adjust the machine in user's factory. We are providing technical support and after-sale service to all our clients in the world. 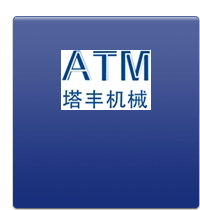 Shanghai Metal Forming Machine Co.,Ltd.